Inner spring mattresses are still the industry’s most popular bed type. Consumers like inner spring mattresses because they offer the widest variety of firmness options, it’s easy to move around, and they generally cost less. 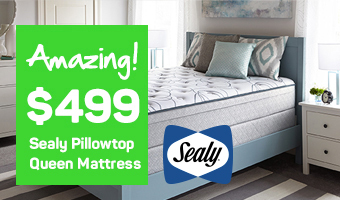 You will find Mattress World Northwest has an impressive selection of inner spring mattresses from well-known brands like Sealy, Simmons, and Serta. Inner spring mattresses feature a system of metal springs for support, topped with layers of cushioning. Different manufacturers and models vary in three main ways: padding, gauge of metal, and type of coil system. Cushioning: You can choose from fiber, padding, or memory foam (with so-called “hybrid” mattresses). The type of cushioning depends upon individual preference, so you’ll need to lay on a few different beds to determine which feel you like best. Gauge: Metal coil gauges typically range from 13 to 18, with lower gauges being firmer, and higher gauges known for increased durability. You can still get a durable mattress with a lighter gauge if the coil count is high. Coil System: The coil system may be individual, connected/continuous, or pocketed. The most affordable models are usually the traditional individual coil mattresses, sometimes called the Bonnell Coil System. Adults want to look for a model that has no less than 500 coils. Kids can get away with 312-coil systems. Continuous coil mattresses consist of many coils connected onto one main piece of metal, which improves durability and comfort. This type of inner spring mattress is responsive and does not dampen transfer of motion if your partner is a real toss-and-turner. If you are worried about the “creaky” sound of coils and feeling your partner’s every move in the night, the modern pocketed system that encapsulates each coil inside fabric casing is a good bet. The only drawback to the pocketed coil system is that it may wear quicker or leave body impressions for sleepers who are heavier in weight. What do inner spring mattresses feel like? Inner spring mattresses vary widely in the level of cushioning and support they offer. Generally speaking, most shoppers find coil mattresses to be firmer compared to memory foam or latex. Some people say the coils “push back,” rather than “conform” to your body. With the best inner spring mattresses, you will not feel the individual coils – only the supportiveness. 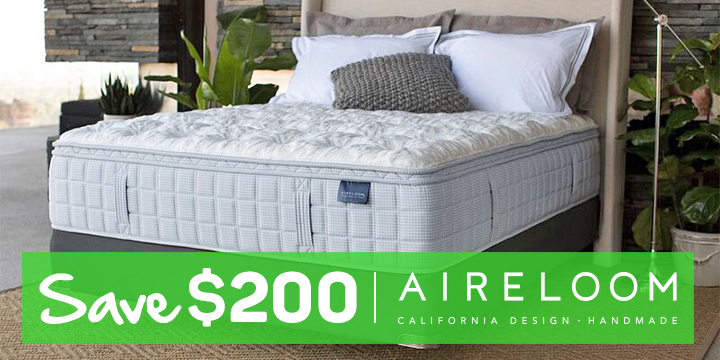 If you want to feel like you are sleeping on a mattress, rather than in it, then the traditional inner spring mattress is a good place to start your search. Who should buy a coil mattress? Are coil mattresses good for back pain sufferers? For lower back pain, you want a firmer bed that prevents the back from sinking too deeply, out of alignment. Inner spring mattresses with pillowtop padding are ideal for upper back and neck pain, as they offer the perfect marriage of support and comfort. Side sleepers with hip pain should shop for a more plush mattress to relieve tension from the joints. However, we have also had many converts switch from inner spring to memory foam or latex mattresses for a completely different feel. If you bought your inner spring mattress before so many foam and latex options were available, you may be surprised by the level of plush cushioning you can find. Mattress World Northwest in Oregon is the ideal place to begin your search for a good night’s rest. Our knowledgeable Sleep Specialists can show you the difference between traditional inner spring and foam, latex, or airbed mattress types. We don’t feel any one type of mattress is “better” than another. The choice of sleeping surface is truly unique to every customer. When you choose a local Portland-owned and operated mattress shop, you are choosing a better shopping experience, where there is no “high-pressure” sales tactics or gimmicks. 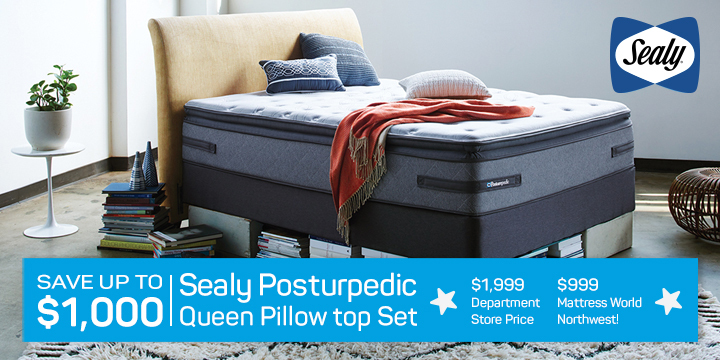 Stop by one of our 11 area stores in downtown Portland, Canby, Salem, Clackamas, Wilsonville, Beaverton, Happy Valley, Glisan, Jantzen Beach, or Washington Square to have a leisurely rest on as many expert-recommended models as you’d like and dream of buying a better night’s sleep at a comfortable price.